You may notice while you’re shopping around that there are different grades of hardwood flooring. Shopping for hardwood flooring for your home can seem daunting at first. As with anything else, it is important to do your research. You may notice while you’re shopping around that there are different grades of hardwood flooring. Just because a particular flooring is a certain grade doesn’t mean that it is a lower quality product. 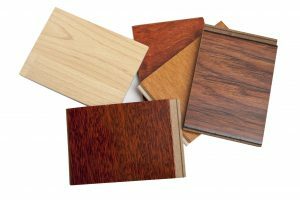 This grading system simply lets manufacturers know how prevalent the wood’s natural characteristics are in the flooring and how much the color varies from board to board. With that said, let’s take a look at some of the different grades of hardwood flooring. This flooring will have very few “character marks”. The color will be very uniform throughout the entire floor. The grain will be highly consistent. This can be somewhat hard to find, and it is usually far easier to get engineered clear grade hardwood than it is to get it in solid hardwood. Like clear grade, select grade has very few “imperfections”. The difference is that select grade is milled from heartwood and sapwood, so there tends to be some more variation in the color of the boards. Also, there may be slightly more variation in the grain of the wood. Select grade hardwood is still not all that easy to come by, as it usually accounts for no more than 15% of a given tree. Often, manufacturers will bundle clear grade and select grade together. This is the grade where the wood’s characteristics really shine through. You will notice swirls, knots, and streaks throughout these boards, although the prominence of these characteristics will still be pretty limited. The common grades of hardwood are usually best for high traffic areas and homes with pets and/or children because the natural wood characteristics tend to mask the small dings and scratches that are common in a lively home. #2 common grade is very similar to #1, but the presence of the wood’s natural characteristics is far more prevalent. Lots of natural character marks and variation in color would make this the beautiful focal point of any room. Think Rustic. Cabin grade hardwood is heavily marked by the natural characteristics of the wood. There is very seldom any consistency in grain or pattern, which makes cabin grade wood flooring extremely charming. This entry was posted on Friday, September 22nd, 2017 at 9:25 am. Both comments and pings are currently closed.